We are already living in a social age: people can’t live without Social media. Every day we use them to communicate with each other, learn about politics, financial news, sports, and entertainment. The impact of social media on our lives has been pervasive. As the world’s largest social-media market, Chinese social media structure is entirely different from western countries due to China’s actual conditions. 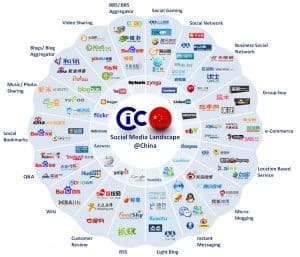 In other words, it’s “Social Media with Chinese characteristics.” Therefore, if you have interest in entering the China market, it is vital to learn Chinese social media’s current situation first, especially if you are a foreign company. In China, you can’t use Facebook, Twitter, Instagram, YouTube, and some other Western social media. According to the latest VPN ban, since this month, China is going to start freezing out overseas VPN providers, blocking them so folks can’t use these services to get around the country’s infamous ‘Great Firewall.’ It’s like there is an invisible wall, cutting off China and the outside world. With this unique ecosystem, it was inevitable that Chinese companies would create their social platforms and networks – leading to the emergence of platforms like WeChat, Weibo, etc. As of June 2017, the number of Internet users in China has reached 751 million. The Internet penetration rate had reached 54.3 percent, an increase of 1.1 percent from the end of 2016. The proportion of Internet users using mobile phones has increased from 95.1 percent at the end of 2016 to 96.3 percent. Mobile phones have become an indispensable device for Internet users with the emergence of digital payments and social media in China. Moreover, the Chinese are highly active internet users, creating and sharing more content than their western peers. Beyond all question, Chinese social media has enormous influence with such a considerable user base. It has become one of the most effective marketing tools to promote products and services in China. Chinese Millennials have gotten used to following celebrities, which is very different from the previous generations. These young people like to read news about their interests and follow interesting people that know how to communicate online. In China, there are three categories of KOL – Experts, Celebrities, and Wang Hong. Wanghong (网红) is the Chinese word for internet celebrity who can attract the attention of internet users. They focus on turning their online fame into an actual business. The rise of Wang Hong has added a layer to the KOL landscape. The power of KOLs in China can not be ignored. They can be very active for build awareness and trust, Over five months in 2016, 36,410 of the most prominent online celebrities each received (an average) 25,130 reposts, 11,151 comments, and 45,317 likes. 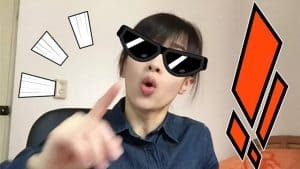 Take Papi Jiang as an example, as one of the most well-known online celebrities in China; she became famous by posting spoof or satirical videos on social media sites. The 30-year-old drama school graduate and self-proclaimed “left-over woman” has attracted investments amounting to RMB 12 million. In less than a year, she has accumulated 44 million followers, across multiple platforms, with her fast-talking satirical videos. 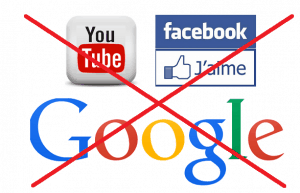 After realizing the status quo of Chinese social media, here are some crucial matters that need attention. 1. Correctly grasp the different functions of major social media. Tencent QQ, also known as QQ, is an instant messaging software service developed by the Chinese company Tencent Holdings Limited. Besides, it also offers services that provide online social games, music, shopping, microblogging, movies, and group and voice chat software. QQ has the most massive user base, with almost 1 billion active monthly users. As of April 2014, over 200 million simultaneous online QQ users were recorded. At the end of June 2016, there were 899 million active QQ accounts. WeChat has surpassed the simple functions of a common communication platform, with users booking taxis, tables, and flights, transferring money, making investments, shopping and much more. It has an innovative goal to connect everything. Wechat is a more private social media compared with others. And it has quite a lot functions that are similar to QQ. In the WeChat Platform, you can set up an official account to post content or even a Loyalty Card, a CRM tool within WeChat that gives users the opportunity to find nearby locations of retail stores, receive discounts, promotions, points, and rewards. What’s more, KOL marketing on WeChat can be a very effective method for advertising. Sina Weibo attracts the most substantial number of companies, organizations, public figures, and celebrities, each desiring direct communication with consumers; it is often dubbed as “The Twitter of China.” Launched by Sina Corporation on 14 August 2009, it is one of the most popular social media sites in China. As of Q4 2017, Sina Weibo has over 392 million monthly active users. Recently, it surpassed its US$30 billion market valuation mark for the first time. Weibo is a must-have social platform for both Chinese and global brands to connect with Chinese consumers – Weibo claims a 76% year-on-year increase in “interactivity.” Nowadays, almost every brand use Weibo as their main platform for marketing and advertising. It’s quite essential to get a pool of insights for this increasingly big market. Baidu Tieba is the largest Chinese communication platform provided by the Chinese search engine company, Baidu. 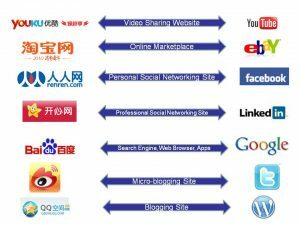 It is an online community bound tightly with internet search services, one of the primary business of Baidu. Nowadays, it only allows posting by account, and anonymous posting is not allowed. Users can post at most ten pictures and one video quoting from certain broadcast websites. Users cannot edit the published posts, whether they have an account or not. But users can delete their own published posts and comments from other users on their posts. In Baidu Tieba, you can advertise through reaching out to interest groups on Community pages, engage with the audience to trigger high following and high content ratings to increase brand visibility (on Tieba Community page). However, as with most forum sites crisis management is crucial – taking the time to oversee brand discussion and responding to posts to avoid tarnishing the brand is necessary when marketing on the platform. Besides the above major social media platforms, there are also so many kinds of social media, such as Douban, Zhihu, and video platforms, which have different target audiences and functions. According to market research, over 80% of global consumers actively influence preference and purchase decision through online social networks and word-of-mouth, and 92% consumers believe recommendations from friends and family over all forms of advertising. This showcases the power of social media in affecting purchasing behavior. “If you make customers unhappy in the physical world, they might each tell six friends. 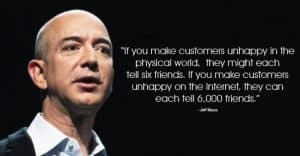 If you make customers unhappy on the internet, they can each tell 6,000 friends.” Said Jeff Bezos, CEO at Amazon.com. This quote represents well the role of social media in China. Further to the point above, a business’ presence on social media has a significant influence on purchasing behavior. Even if a brand has all kinds of attention from social influencers and customers, with a lackluster social media presence, it will be difficult to convince anyone of their credibility. Nowadays, Firms are moving away from the traditional one-way advertising to two-way through social media. 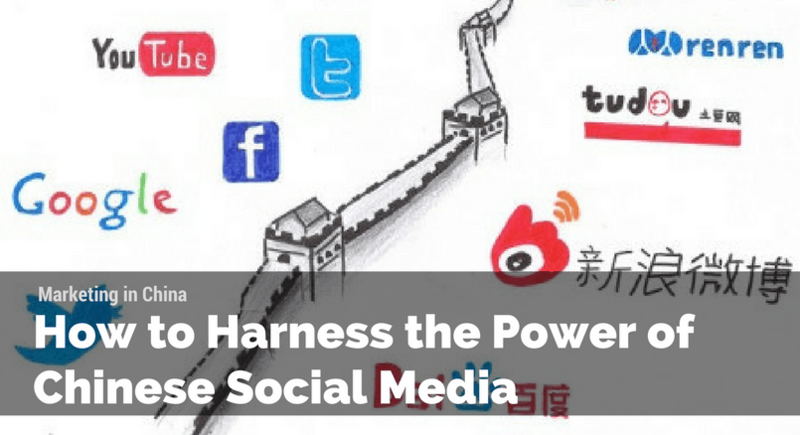 Mastering most Chinese social media’s characteristics is not enough, choosing the appropriate social media strategies is a crucial step afterword. Take web platform as an example, below are some quite good social media strategies used by different companies. You can click to see their official Weibo website. Mastering and using social media is not an easy task. With the rapid development of modern society, there will be more social media and marketing tools emerge. We will be keeping a close eye on the events and trends of Chinese social media. If you have some questions, feel free to contact us!